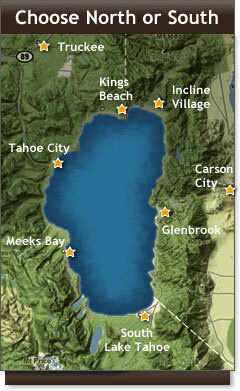 North Lake Tahoe offers an array of leisure activities that will detox those daily life stresses away. Start with a relaxing massage in the morning, a drink on the beach in the afternoon, romantic lake view dinner and then a star gazing tour at night. Perfecto! The ideal leisurely day in South Lake Tahoe might include a little shopping in the morning, catching some rays on the beach in the afternoon, followed up with a relaxing massage in the early evening. Cap it all off with the perfect sunset boat cruise and you’ve got your day planner booked!